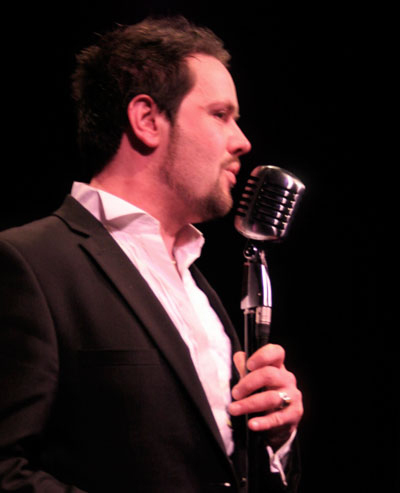 Host, lead vocalist and producer/director GAVIN LAZARUS has been likened to a young Tony Bennett, though also evokes Dean Martin and Sinatra with his elegant song styling and brilliant phrasing underpinned by a rich, warm resonant voice. He has released an EP of his own material, and brings to the stage a wealth of experience from across the UK. Vocalist TRISTAN DARBY is a professional actor and singer with a fine, smooth baritone and an easy relaxed and stylish stage presence. He has worked across the country in productions from Shakespeare to Swing Fever and A Christmas Carol. He is artistic director of Bristol-based theatre Raconteurs and co-founder of South West Acting Courses (SWAC) with Gary Owston of Bristol Old Vic Theatre School. He also happens to be an in-demand sommelier running wine tastings around the region. Vocalist NATALIE FARMER trained at Rose Bruford College on the unique Actor-Musicianship course. Theatre credits include: Oberfurer Von Spineschiller/Cripson Hills Triplets in Biggles Flies A Fokker Home (Live Wire Theatre Company); Mary Shelley/Elizabeth Lavenza in Frankenstein: The Year Without A Summer (Dorset Corset Theatre Company); Ariadne in Voithia! (English Touring Opera); Blue Peter in Black Eyed Susan (Theatre Royal Bury St Edmunds);. She is the Resident Musical Director for the Gloucester Theatre Company and Live Wire Theatre Company and composing/arranging credits include: A Christmas Carol; Achilles; The Secret Garden and The Lion, the Witch & the Wardrobe. Natalie also teaches music privately and performs with various musical groups including close-harmony trio The BelleFleurs and pop/folk duo Brice & Farmer. Guest vocalist CLARA CECILIA took the jazz route in performance at Bath Spa University, and now performs regularly on the local circuit with her jazz trio as well as providing session and backing vocals for a number of local bands and recording artists including Kill It Kid. She counts Ella Fitzgerald, Aretha Franklin and Alice Russell among her influences, who translate beautifully through her vocals. Read more about Clara here. Guest vocalist TANYA RICH is one of the country’s foremost voiceover artists as well as being a fine and sassy cabaret performer. With a host of television, radio and corporate credits to her name Tanya, who hails from a musical family, has also worked as a session singer as well as being a seasoned stage performer and ensemble singer. 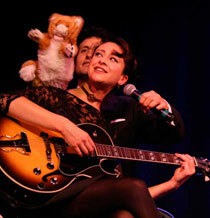 She is also a founder member of top burlesque close-harmony vocal trio The Bellefleurs. 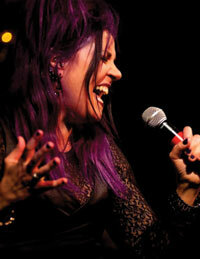 Guest vocalist SARAH COX grew up in a musical family, and played keyboards at her dad’s gigs from the age of 14. 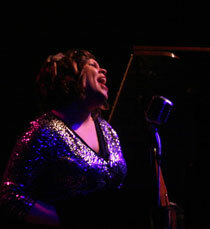 She has performed in live bands ever since, singing everything from jazz to jive, Latin, pop, soul and rock & roll. She fronts the 10-piece James Bond tribute band Shaken Not Stirred as well as function band Doctor Chocolate. Pianist MARTIN JENKINS is an extremely talented player and composer whose current bands include Freight, The Rhythmites and Martin Jenkins Trio. He is equally adept playing jazz or laying down some serious Latin or reggae grooves. He also writes many of our arrangements here at 20th Century Foxes Cabaret. Driving our grooves is drummer MARK WHITLAM, who worked with such diverse artists as Clare Teal, Geoff Simpkins, Kevin Figes, Jake McMurchie (Get The Blessing), Jim Barr (Portishead), Pete Bernard (Roni Size Reprazent), Anders Olinder (Glenn Hughes), The London Gospel Community Choir, Natalie Clein and has worked in West End theatre shows, subsequently touring the UK. 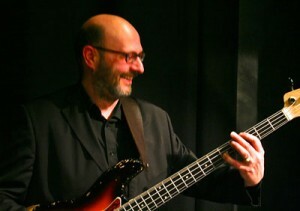 He is a Member of Faculty at BIMM Bristol, tutoring on its degree courses in a range of subjects from transcription and theory classes through to session and jazz drumming. As well as being an accomplished jazz and funk bassist, DUNCAN KINGSTON was the lynchpin of the South West’s favourite ceilidh band the Electric Lobsters and post-bluegrass modernists Daily Planet, whose last CD garnered rave reviews in Folks Roots magazine. Duncan also toured with Anglo-Senegalese band SUUF whose concert was broadcast on the BBC World Service. Their debut CD is on the BBC record label. 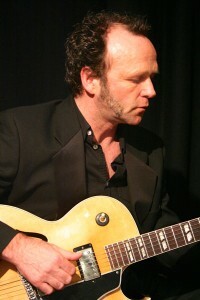 Our lead guitarist MURPH is one of the best-known faces in Bath; with two of the region’s best-loved sideburns. He is a founder member of popular reggae outfit The Rhythmites and remains one of the most respected and in-demand session guitarists for diverse acts ranging from Blackbox to Claire Teal. He has taught for over 10 years, both in schools and privately, and runs workshops and group lessons. He also gives students the opportunity to record their playing in his home studio. JONNY BRUCE is an extraordinary and adventurous trumpet player with a truly unique identity. Now based in Bristol, He has emerged onto the UK jazz scene, in recent years, through playing with the Dave Stapleton Quintet – DSQ. He performs regularly throughout UK and Europe and has been critically acclaimed for his playing, especially for his recordings on DSQ’s 3 albums, released on Edition Records. Since graduating from the Royal Welsh College of Music and Drama in 2006 (studying both Classical and Jazz Trumpet), Bruce has been one of the most in demand trumpet players in a jazz/lead context or as a session player (including TV, radio and pop recordings) on the UK scene. 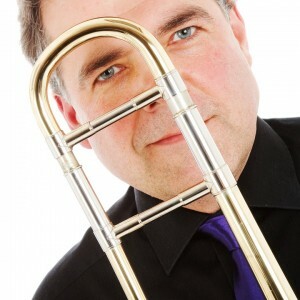 TERRY KELLY is one of the South West’s foremost Trombone players, hotly in demand as a feature soloist or as ansemble player in many of the regions top swing and big bands . 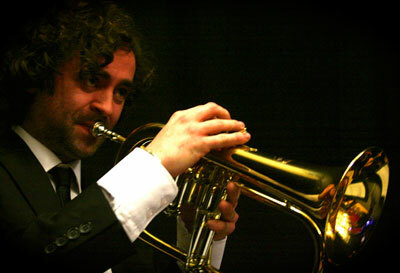 Terry’s current groups include The Swing Machine Jazz Orchestra, The W12 Band, The Crescendo Band and Bold As Brass. 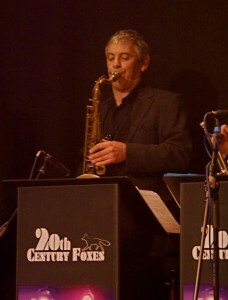 Foxes stalwart KEITH MORGAN is a fine player on tenor saxophone and clarinet as well as being a brilliant flautist. Widely in demand his credits also include The Fatman Swings, The GBH Big Band, The Suspects and The Crescendo Band. All these talents and more are brought together beautifully in one of the most exciting cabaret shows around, so don your vintage-style glad rags and prepare to dive back to the heady days of crooners and swing.